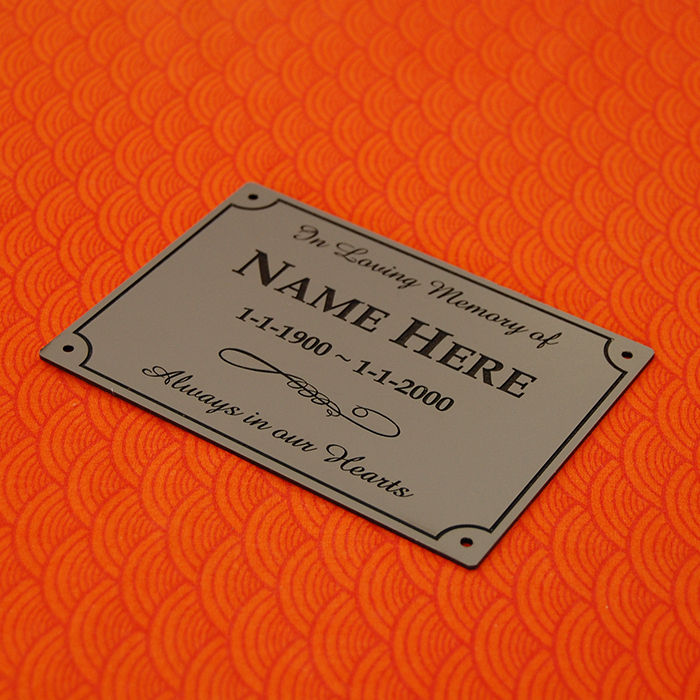 Great value high quality custom Stainless Steel Outdoor Memorial Plaque, available in 4 standard sizes. Custom sizes and quotes are available upon request. The Custom Stainless Steel Outdoor Memorial Plaque is Laser Engraved, ensuring the highest quality, giving the best possible result when engraving. A Memorial plaque, House Signs, Letterbox Signs, Business Trading Hours, Opening of a business, Donation Plaques, The ideas are endless. Suitable for outdoor applications, the Custom Stainless Steel Outdoor Memorial Plaque is made from a high quality, durable Brushed Marine Grade Stainless Steel. The lettering is burnt by Laser into the plaque with a permanted ceramic paste. 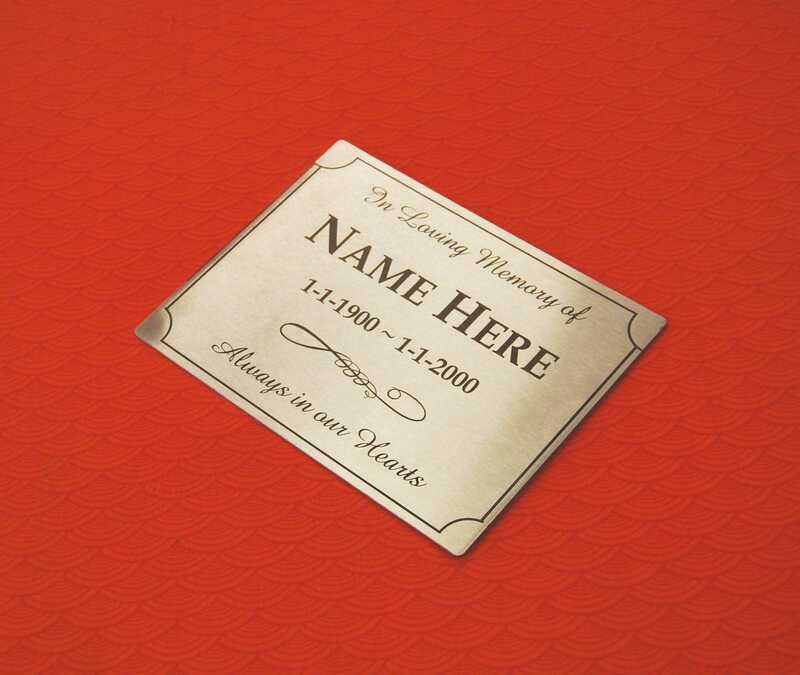 The Custom Stainless Steel Outdoor Memorial Plaque is 1.8mm in thickness. 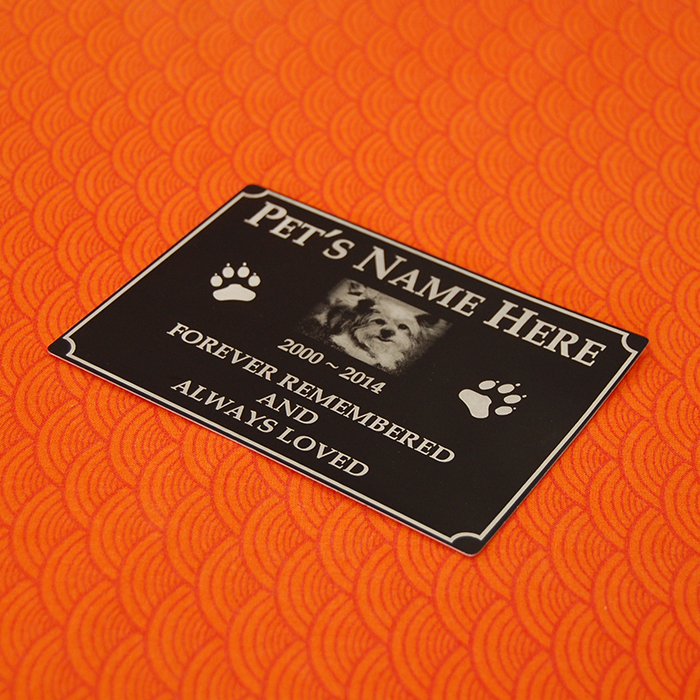 The Custom Stainless Steel Outdoor Memorial Plaque has a superior Brushed Stainless Steel finish, with Black engraving to make the your text really stand out on your Custom Stainless Steel Outdoor Memorial Plaque. The Custom Stainless Steel Outdoor Memorial Plaque is ideal for exterior applications, as the Brushed Stainless Steel material is specially designed to withstand harsh outdoor extremes of wind, rain and full sunshine. The Stainless Steel is our most durable plaque we offer and will require no maintenance. 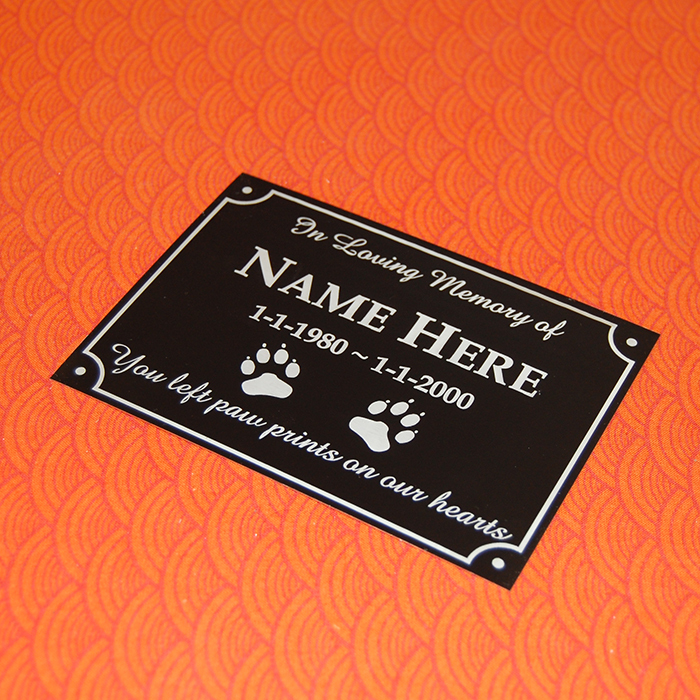 Screw holes are available as the ideal option for mounting your Custom Stainless Steel Outdoor Memorial Plaque, otherwise you can use a liquid adhesive. Adding screw holes will cost an extra $11.00.